Step 1 In a blender, combine the cilantro, garlic, onion, Worcestershire, optional chiles and a teaspoon of salt, or to taste. Blend the ingredients to make the marinade, and rub the marinade all over the meat. Place the meat in a large, sealable plastic bag or in a large baking dish covered with plastic wrap, and refrigerate for at least 1 hour, up to several hours, to marinate. Step 2 Shortly before cooking, heat a grill over medium-high heat until hot. Oil the grill then add the carne asada (this will probably need to be done in batches). Cook the meat for a minute or two on each side to char the meat and then cook to desired doneness. Repeat with all of the carne asada. Serve hot. In Recipes-list.com we have selected the most viewed recipes from category - Grilled Healthy eating Main courses . Enjoy the best recipes specially selected for you! 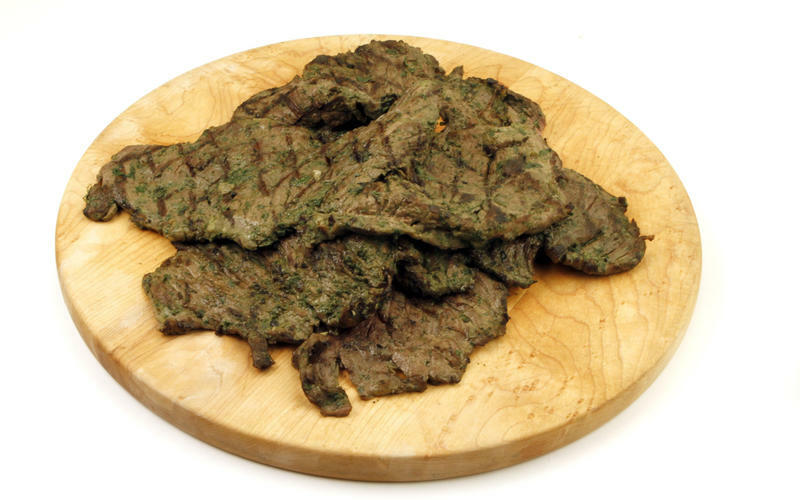 Carne asada is the right choice that will satisfy all your claims.